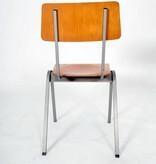 Four vintage industrial sidechairs. 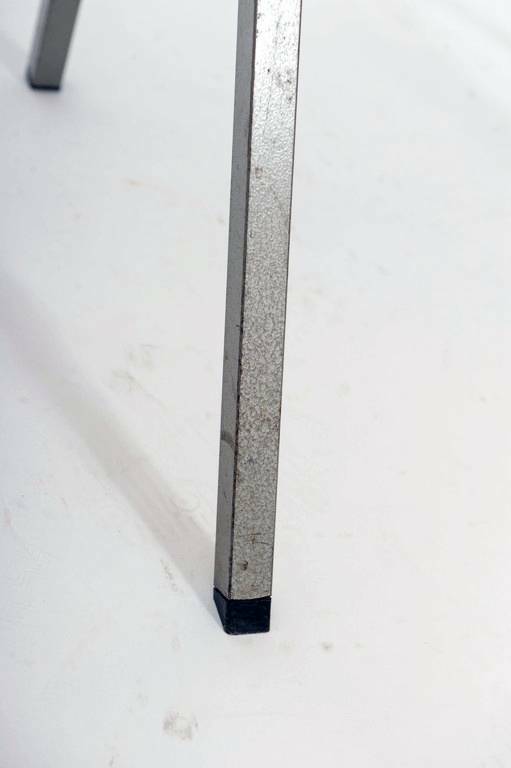 We only offer them as a set of four. 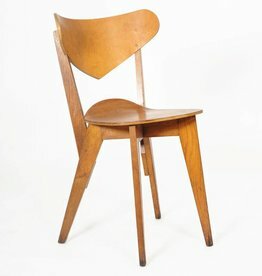 The designer is James W.Leonard. 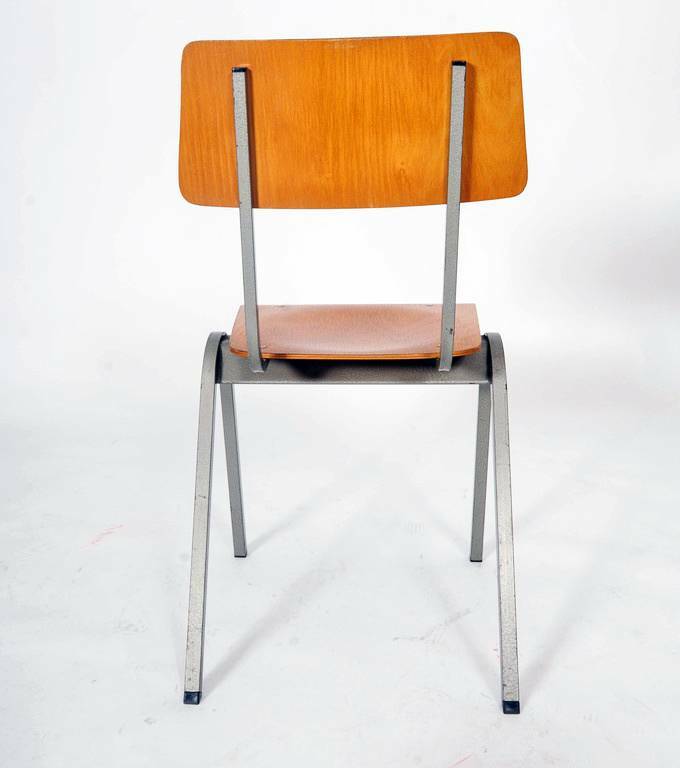 It is a stacking sidechair from 1948. 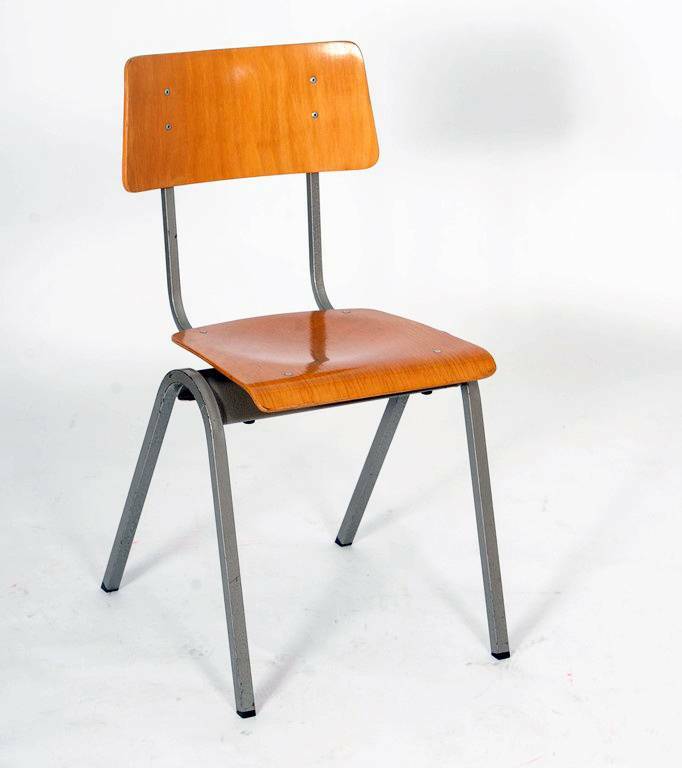 The price is based on the total set of four chairs. 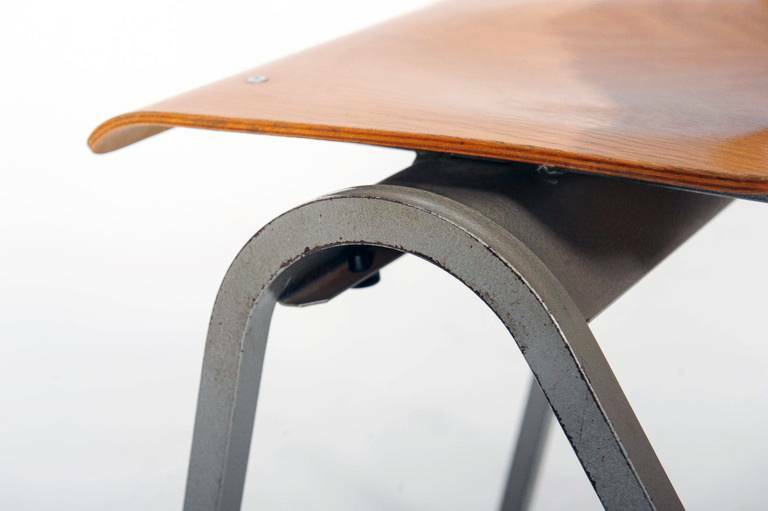 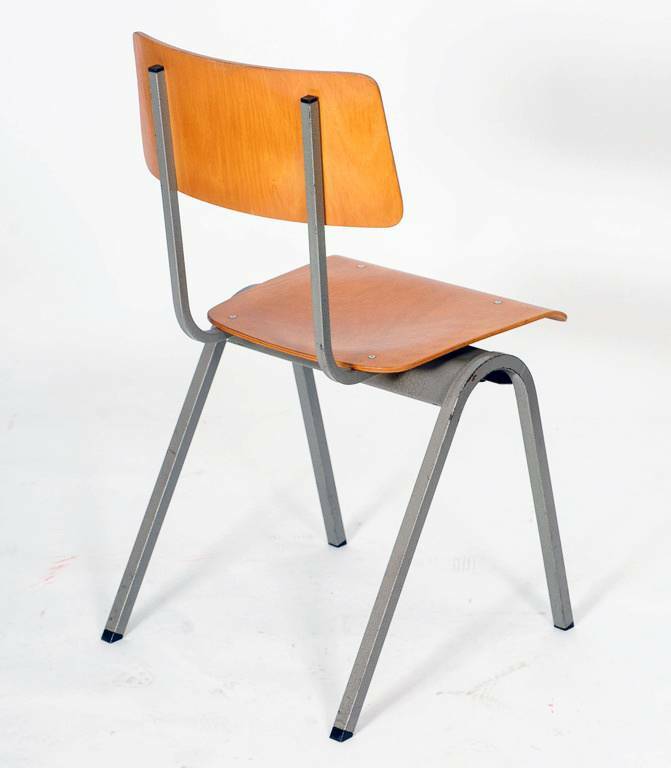 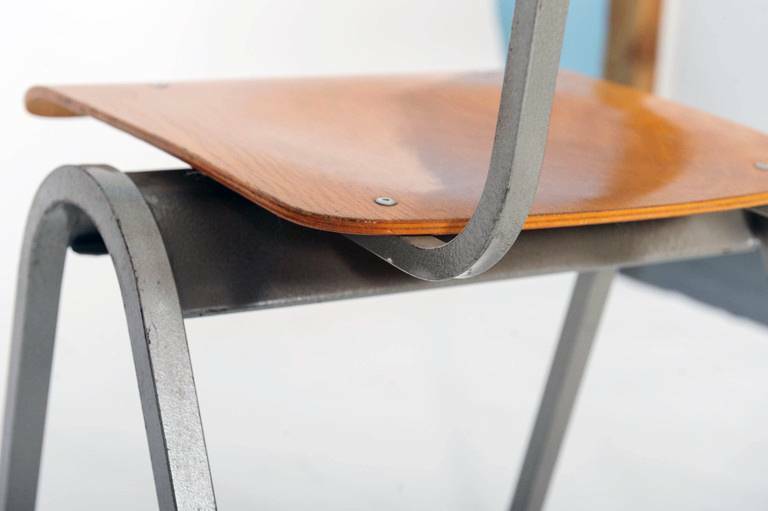 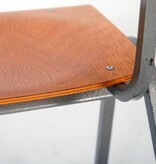 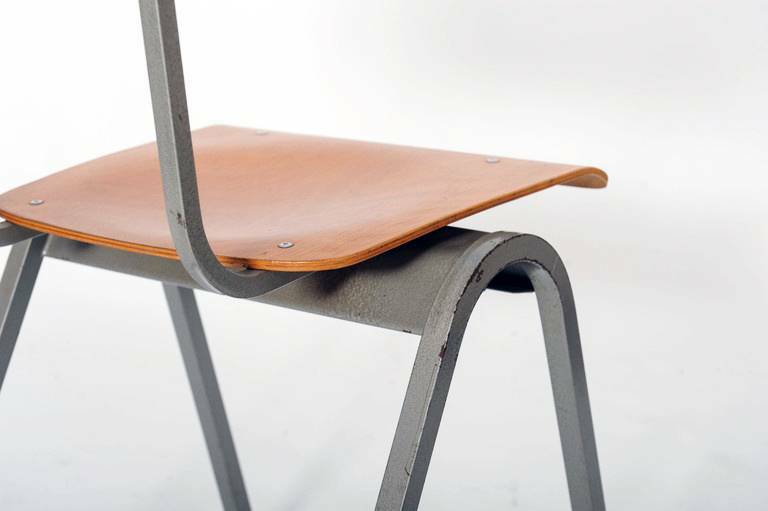 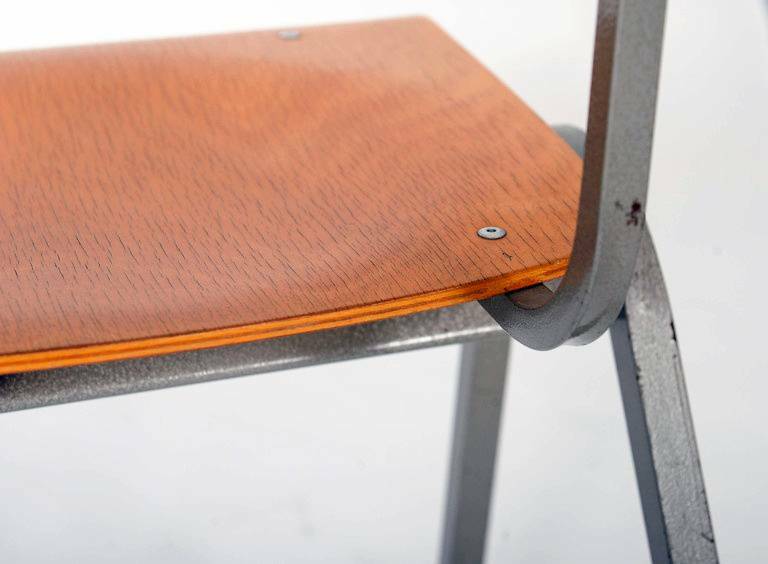 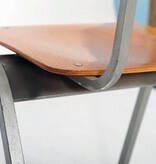 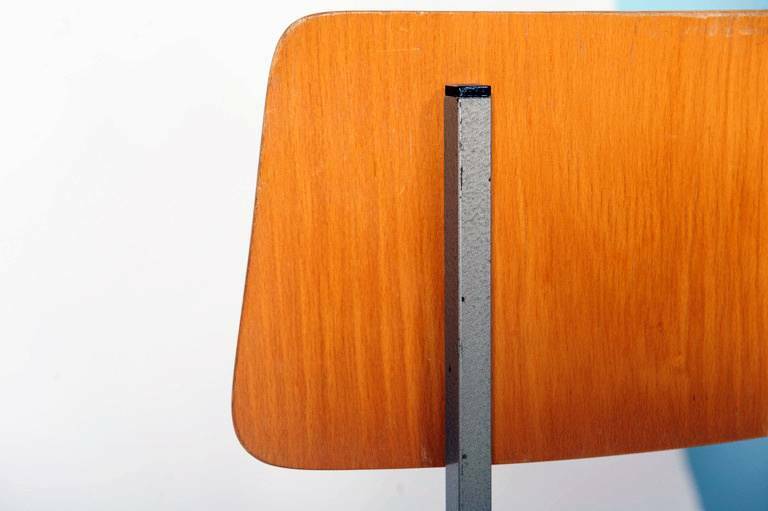 This is a very rare prototype plywood chair designed by Dutch designer Hein Stolle. 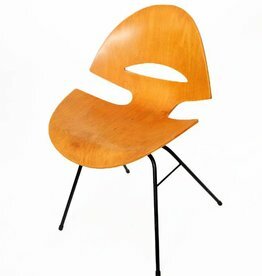 He made wonderdul furniture designs in the forties and fifties. 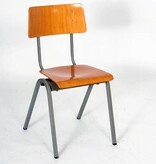 Borge Mogensen Scandinavian vintage design chair from the fifties. 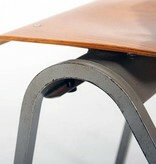 Black painted wooden legs. 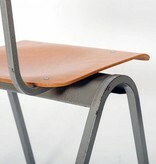 With a flexible bended plywood back. 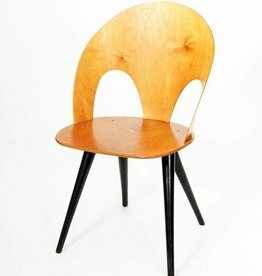 The designer of this vintage plywood chair is Frank Guill. 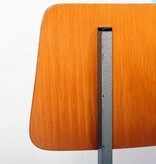 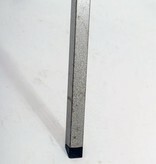 Designed in 1953 for Kandya. 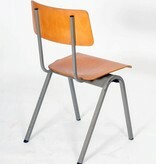 It is a rare side chair.